William Charles (Bill) Hartup was born in c1930 in Redfern, Sydney, and lived most of his life in the suburb. He was married to Eilech Portley in 1956. Bill Hartup passed away in January 2014. Bill Hartup left school at fourteen and became a tradesman. He joined the Vehicle Builders Union, and became a shop steward and a member of the ALP when he was 20. He began playing basketball at the age of 12 and was a State basketball representative. He was also a first-grade Australian rules footballer. He became a transport supervisor with Sydney County Council. He lived most of his life in Kepos Street, Redfern. 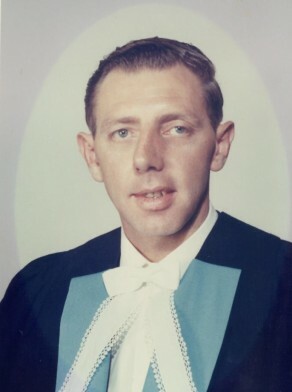 Bill Hartup was Alderman for Northcott Ward of Sydney City Council from 4 December 1965 until 13 November 1967 when the council was replaced by a three-member Commission. In 1969, Hartup was elected Alderman on the newly formed Northcott / South Sydney Municipal Council. He became its first and only Mayor from 1969 until 1981, when South Sydney was re-amalgamated with Sydney City Council. Hartup was an Alderman for Redfern Ward of Sydney City Council from 1 January 1982 to 26 March 1987 when council was again replaced by City Commissioners. He was Deputy Lord Mayor of Sydney City Council in 1982. During his time on the Sydney City Council, Hartup was a member of the Finance Committee, 1966-67, the City Planning and Improvements Committee, 1966-67 and the Finance and Industrial Relations Committee, 1982-84. He sat on the Finance, Industrial Relations, Budget Management and Equal Opportunities Committee, 1985-86 and served as its Vice-Chairman in 1985. He was appointed member of the Local Government Superannuation Board, 1982-88. Hartup was a leading member of the right wing of the Australian Labor Party (ALP).